One of the things that consistently shocks designers and customers alike is how much a project price can change based on its finished size. I am going to show you why that is. Read on and you will realize why #sizematters and you will be a #designhero. Know that deviating from an increment of 8.5 x 11 is important when designing, especially for a client on a budget. Here’s an example: If you want to design a square brochure that is eight pages and saddle stitched, that’s two, 4-page signatures or one 8-page signature. If you make your finished size 9 x 9 inches and the brochure is printing on an offset sheet, then your printer would order a sheet size that is 25 x 38 or 23 x 35 depending on availability. (Whether or not you add a bleed doesn’t matter because the printer will need crop marks for bindery. But there are other instances where a bleed can make a big difference in cost. We will get to that in a little bit.) The printer needs approximately 1/2 inch of gripper on the long edge of the sheet. 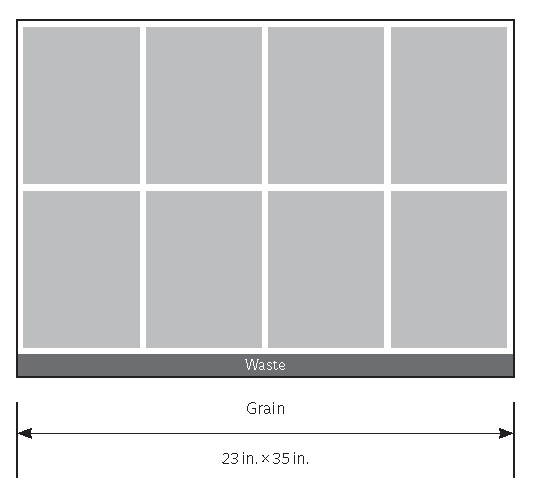 Paper sizes already take this into consideration. 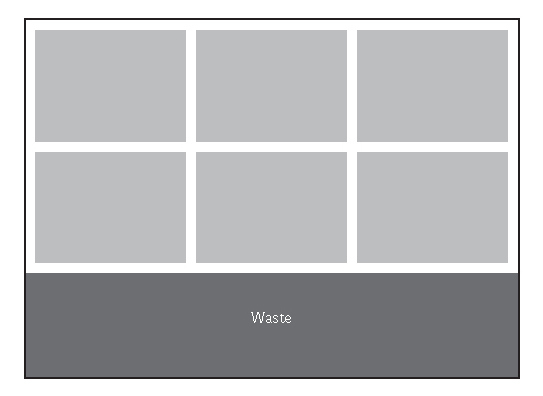 The diagram that follows shows how much waste is contained in a design that is 9 x 9 inches square. The difference in paper cost might nix the project for a cost-conscious client, whereas a design change can help the project move forward. For a more image-conscious client, the cost difference may not be as important as the visual impact that comes with the larger size. Remember that reducing the number of printed sheets not only lowers the paper cost but also reduces the amount of press time! Here is an 8-page brochure. I’ve laid it out on a parent sheet so you can see what happens when you deviate from 8.5 x 11. Take a look at the amount of waste ($) that is generated. I am not saying it is bad to create a 9″ x 9″ brochure as long as you and your client know it is going to cost more. Another consideration is the waste apart from the cost. A client that prides themselves on their environmental responsibility will not appear responsible with a 9″ x 9″ brochure. Here’s the first example, an 8″ x 8″ page size. Because both dimensions are smaller than 8.5″ x 11″ the whole brochure is able to fit on one press sheet. 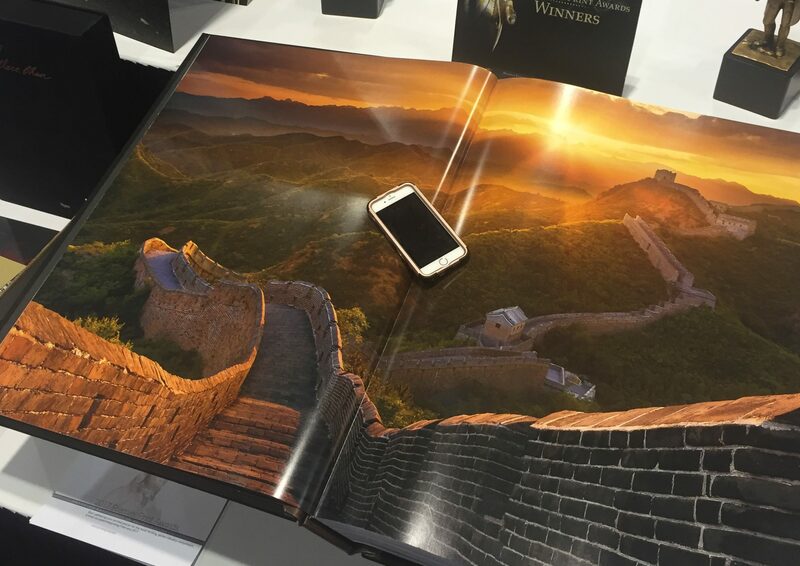 25,000 8-page booklets with a page size of 8 x 8 require the purchase of 25,000 sheets of 23 x 35 paper. If we pretend the paper is $1.00 per sheet, the paper cost is $25,000.00. The darker gray area on the press sheet is scrap that will be recycled. Knowing how much paper is wasted, you the designer could add on additional items in the “waste” area of the press sheet such as coupons or statement stuffers or whatever. Below is the second example, same booklet sized to 9″ x 9″. This is a great standout size, it will be wider than a stack of direct mail and can really make the message stand out. But look at the cost: 25,000 8-page booklets with a page size of 9 x 9 requires the purchase of 50,000 sheets of 23 x 35 paper. If we pretend the paper is $1.00 per sheet, the paper cost is $50,000.00, double the paper cost of the 8″ x 8″ size. This size also needs to be printed on two press forms so that is double the plates, double the make ready and double the press time. The third example is the same booklet with a page size of 8.5″ x 11″. 25,000 8-page booklets with a page size of 8.5 x 11 requires the purchase of 25,000 sheets of 23 x 35 paper. If we pretend the paper is $1.00 per sheet, the paper cost is $25,000.00, Although the price is the same as the 8 x 8 sized booklet, the waste is dramatically reduced. Are you going with or against the grain? The other way that size affects cost is in combination with grain direction. For example, let’s say you design a brochure that is 4.25 x 11 when folded, 8.5 x 11 flat. It has solid black ink on both sides and you want to print on coated paper. 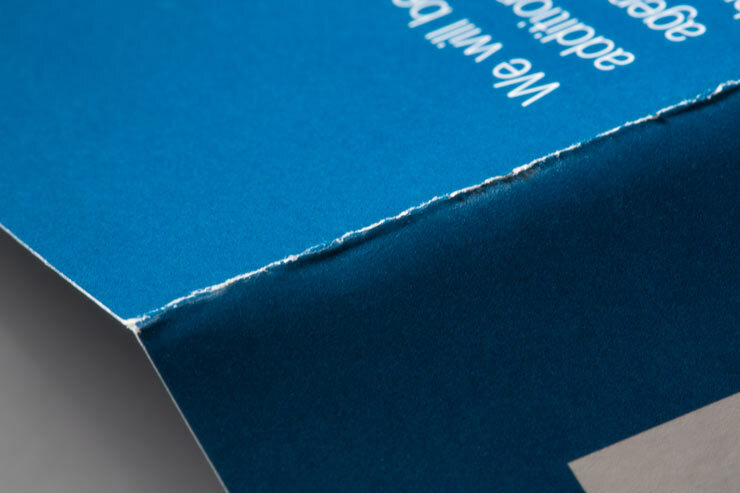 (See design decisions that make headaches here) The brochure has to be cut with the grain parallel to the fold, because of the score going through solid ink. So the brochure must print with the grain following the 11 in. dimension parallel to the fold. As shown below, that nets you only 6 out of a sheet instead of the eight out you could get if the design allowed for it to run with the grain against the fold. Few papers are available grain short (more on that below). I have had instances where customers wanted to redo their brochure as in this example because “the last printer screwed it up real bad”. Having a sample of that last printing in hand I can see that what should have run with the grain was not. Why? Maybe the client was pressuring the printer on cost. Maybe the printer explained to the buyer that there was going to be some cracking (the buyer who no longer works for the client so that story is lost). You can work with a printer that is going to save you money or someone that is going to guard your branding with ferocity. It’s a choice. run grain long produces a considerable amount of waste. the paper cost would be $3,125.00. 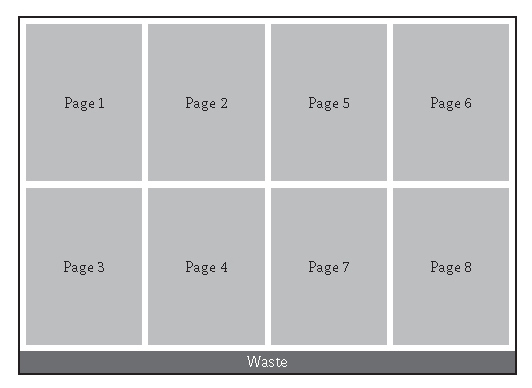 A page size of 8.5 x 11 produces very little waste. 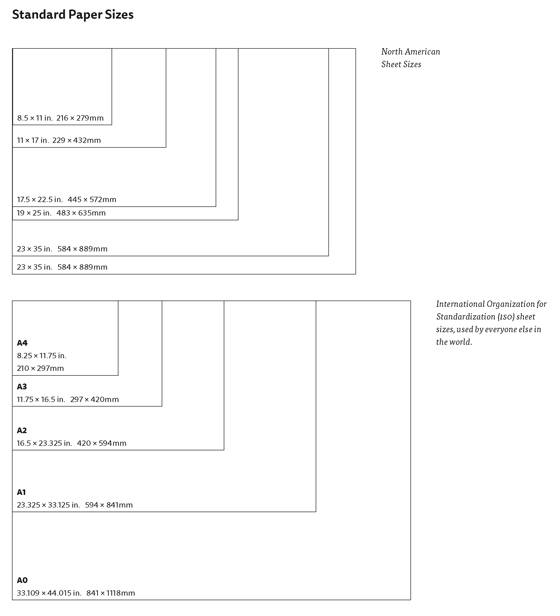 It is clear how the standard parent size of 23 x 35 is optimal for the 8.5 x 11 page. Solid ink cracking on a fold. The information that follows is organized by paper grade. You can learn about paper grades here. The dimensions given in the chart below are standardized in multiple ways. The first number refers to the horizontal measurement (the 8.5 in 8.5 x 11”). The second dimension is the vertical measurement and the grain direction (the 11 in 8.5 x 11”). Sometimes grain direction is indicated by making that dimension bold as in 23 x 35 or by underlining it as in 23 x 35. Sometimes paper is sold grain short and that is indicated by the dimension 35 x 23 or 35 x 23 or 35 x 23 or 23 x 35 or 23 x 35. 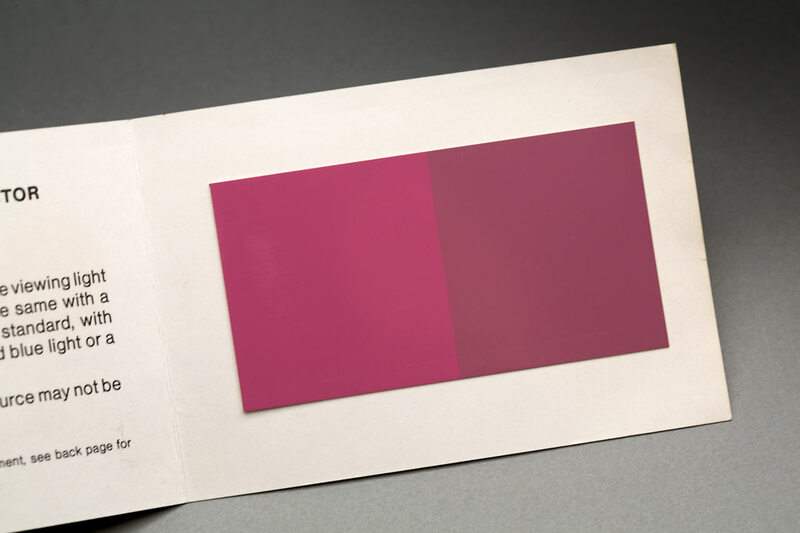 In the chart of standard sizes by paper grade, note that the less expensive grades (uncoated, for example) are sold in sizes that do not allow for a bleed. The economy of a 23 x 35 sheet versus a 25 x 38 sheet over a long print run is significant. The primary size is the size(s) that will be carried by most manufacturers. The primary size is always available in the basic colors such as white, cream, and ivory. If designer colors are manufactured, then they would also be available in the primary size. The secondary size is for the most common colors such as white, ivory, and perhaps other popular colors in that line. The tertiary sizes would apply only to the most common colors (white and ivory) in the most common grades and weights. Below are all the common paper grades with their corresponding sizes of parent sheets available to printers. Other costs such as plates, ink, and set-up charges affect the price, but the bottom line is that a size decision made at the design stage will make a significant difference in your printing cost. Have you experienced a size problem in the design stage? I would love to hear about it, please comment below to share your experience with other readers. The cost of producing your printed piece is completely dictated by the design. If you have a knot in your stomach right now you are not alone. Remember, I am a graphic designer, we are of the same tribe, and I have your back. There’s a reason why so much of the printed stuff out there looks the same — budgets. Small budget projects look like they have small budgets. So one of the ways in which you, oh noble designer, are able to differentiate yourself, is by getting your client more bang for their buck. Many designers who do not have a lot of print experience tackle this question by giving their budget to their printer and asking the question “how many _______________ can I get for $____”. How many pocket folders can I get for $2000? How many trifold brochures can I get for $500? You do not need a printer to get an answer to that question, go to vistaprint.com or modernpostcard.com or nextdayflyers.com and look up pricing. Share that pricing with your client. Tell them that the pricing is for a basic tri-fold on cover paper 4 color both sides. Then ask your client, do you have room in your budget to differentiate your product visually and tactilely from your competition? Is there something in your USP (unique selling proposition) that we can showcase in this brochure through sight or touch? 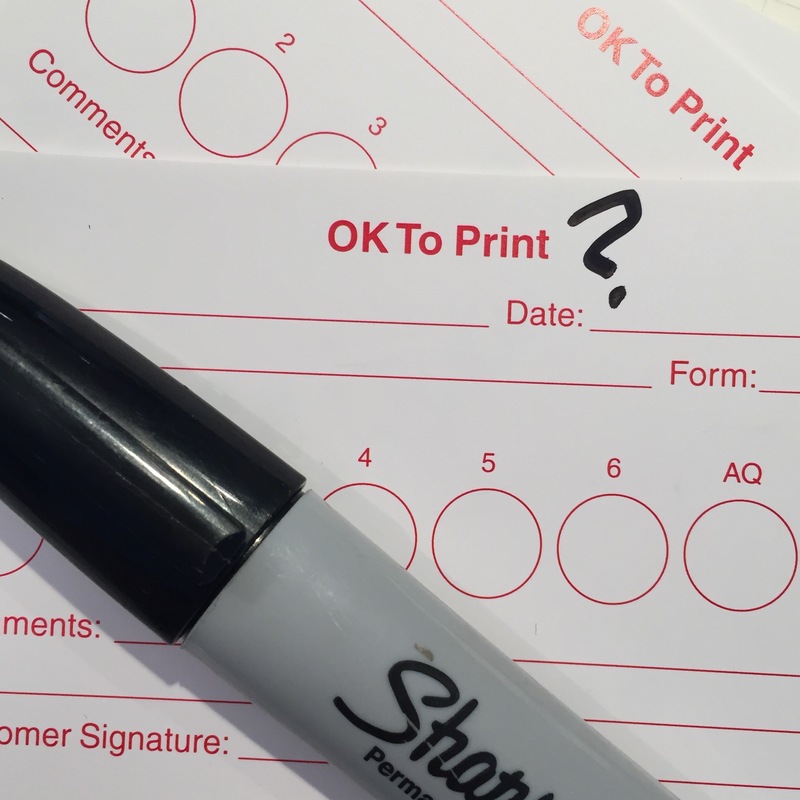 Your print rep should now dial in on that specific part of your question… “spend a little more”. What does that mean, 10% 20% 50%? If you can get your client to nail down this number, it will save you a ton of time and back and forth. Let’s assume Cafe Cocoa spent $1500 printing their menus and now they are prepared to spend $2000 on their catering menus. That is a 33% increase! The pitfall here is to give your client an idea of what can be done without giving them a budget. Or, heaven forbid, designing, comping and showing them a spectacular catering menu that will cost $10,000 to produce! Do not laugh. It happens. All the time. For real. If you use the prices you can easily find on-line for gang-printed marketing collateral and stationary as a baseline, you can really help your clients establish a direction for you to design. It’s easier to be aware of the items that increase cost—and so avoid them if the budget doesn’t allow for them—than to make a list of everything that reduces cost. Here then is a list of items that are guaranteed to add cost, regardless of who your printer is and what kind of equipment she has. This list is based on the parameters e.g. size, paper, number of ink colors, etc., that you need to consider when designing any printed piece. • Either dimension not being a multiple or fraction of 8.5 in. x 11 in. For example, 9.5 in. x 11 in. would add expense, and 12 in. x 12 in. would add expense. • One dimension larger than 40 inches (for a project that is not a digital large-format project). • Sheet size larger than 14 in. x 20 in. • Total page count not evenly divisible by four (e.g. 34). Most printers will add a rush charge for getting something to you faster than quoted. Here are some examples of why and at what point rush charges can be incurred. If you can’t wait a day for the paper to arrive, it has to be sent by messenger, and that costs extra. Sometimes rush charges can be very steep. We once had a client pay $700 to air freight $350 worth of paper. That’s what poor planning can cost. Presses are scheduled a day or two in advance to allow for maximum efficiency in the pressroom. Keeping a press crew overtime to finish a job that was estimated to run on straight time can result in a rush charge. If your printer has to have a crew stay overtime, over a weekend, or on a holiday to make your schedule, expect to pay for the extra expense. Just like printing, the bindery process cannot be rushed without endangering the results. Each step must be completed before the next one can begin, and these steps take a prescribed amount of time, dictated by the speed of the equipment. There is no way to make one folder rated for 5,000 an hour do 10,000 folds an hour, but if your printer has two folders, that would help. If your job has to run on two folders for scheduling reasons (two folder make readies), that adds cost. Expect to pay a fortune for air freight versus ground delivery. Paper is very heavy.